Due to today’s hectic lifestyles many people think it’s OK to skip brushing their teeth by replacing this with mouthwashes, chewing gums and sprays and fail to brush them at least once. However, dentists recommend brushing not once but twice a day, whatever your age. By brushing your teeth at least twice a day you are reducing the chances of bacteria building up in your mouth. If bacteria are left to multiply for a full 24 hours the acid they produce can damage the enamel of your teeth. Brushing every 12 hours reduced the time in which bacteria can cause damage, and by adding an alcohol free mouthwash and flossing to your daily routine your teeth will not only be better protected, but will also look and feel cleaner, which is definitely something worth smiling about. When you sleep you produce less saliva than when you are awake. What you may not realise is that saliva adds an additional tier of defense against bacteria and plaque build-up, which can lead to excess cavities. Brushing in the evening before bedtime helps remove bacteria and plaque in your mouth, helping to eliminate any damage done by reduced saliva production. Brushing your teeth in the morning gets rid of that morning breath by removing the acid and bacteria that build up overnight. Between brushing it is smart to keep your mouth hydrated by drinking lots of water throughout the day or at least chewing sugar-free gum or sucking on sugar-free lozenges. Those of you who don’t brush your teeth on a regular basis are prone to something called tartar, which sticks to your teeth like glue and doesn’t easily let go, necessitating a trip to the dentist or hygienist who literally has to scrape it off. If you don’t get the tartar removed it can lean to more serious consequences, such as gum disease or advanced gum disease (periodontal disease), which can also have an effect on your overall health. If you smoke or have diabetes you should take extra precautions, as you are at a higher risk than the average person, which is an even bigger reason to brush those teeth at least twice a day. Just like saliva, bacteria can multiply in your mouth and failing to brush your gums can lead to a number of issues including periodontal disease, tooth sensitivity, tooth shifting, abscessed teeth, and even tooth loss. If you do not treat your gums well, they can come back to really affect your overall health. 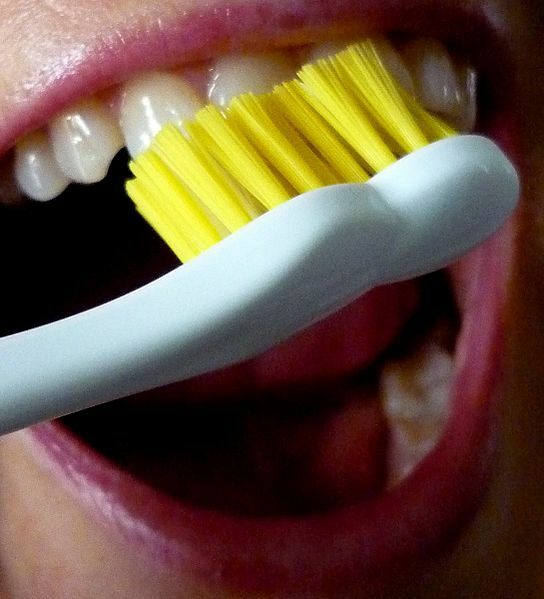 Research has shown oral health is linked to some pretty devastating diseases. Lack of good oral health practices can be linked to cardiovascular disease (heart disease), diabetes, osteoporosis, and premature or low birth weight babies. Brushing your teeth twice a day can prevent dental disaster and overall health issues, so make sure you and your children get into good dental habits by attending regular checkups at your dentist.